Nagging Doubt Wines is one of the more promising labels among the growing number of “virtual” wineries in the Okanagan. Virtual is an industry term, not mine, for wineries being incubated by one or other of the licensed wineries that offer custom crushing services. It allows budding vintners to get their brands established before sinking major capital into wineries of their own. He entered the market last year with a few hundred cases from the 2010 vintage – a Viognier and a Bordeaux blend called The Pull. He raised his production to 500 cases in 2011 and again in 2012; and he has just released a Chardonnay and a Pinot Noir from the 2011 vintage. As the wines have begun to sell to restaurants and private wine stores, Rob has also begun to take the first steps to move beyond virtual. 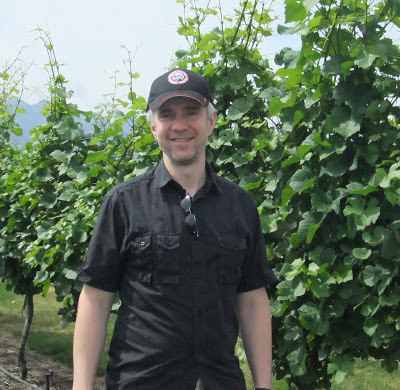 With the help of a savvy viticultural consultant, he has begun looking at vineyard sites near Kelowna, where he lives. Nagging Doubt likely will have a winery of its own in two or three years. It is a perfect example of how the virtual winery model works. An Edmonton native, Rob is human relations professional with a passion to become a winemaker. He was working with a major consulting firm in Vancouver when he launched the Nagging Doubt label last year. Nagging Doubt made its first two vintages at Alto Wine Group, a small custom crush winery near Okanagan Falls that also incubated Mark Simpson’s wines. By the 2012 vintage, the Dickinson family that owns Alto had begun to wind down some custom crush work in order to concentrate on its own Synchromesh brand. However, Mark Simpson, whose brands include Siren’s Call, has recently licensed his own winery on a vineyard just south of Okanagan Falls. The winery, called Stoney Slopes Vineyard, is the new home for Nagging Doubt, at least until Rob buys or plants a vineyard near Kelowna. The virtual wineries operate under somewhat restrictive regulations. Technically, wine made for a virtual winery belongs to the licensed winery where the product is made. The licensed winery is responsible for submitting production and sales figures to government, along with the taxes, fees and markups. Virtual vintners effectively are agents of licensed wineries. Rob can (and does) show his wines to sommeliers and field requests for orders. It may be convoluted but the government’s priority is collecting revenue. Meanwhile, Rob is putting the pieces in place that will see him graduate from virtual status one day. In addition to scouting for vineyard property, he has begun to cement relations with growers who will supply his grapes. Because 2011 was a cool vintage, Rob compares his minimally-oaked Chardonnay to a crisp, lean Chablis. Because 2012 was a hotter growing year, the 2012 Chardonnay promises to be bigger and richer. The grapes for Nagging Doubt’s Pinot Noirs are from a vineyard at Trout Creek, near Summerland, which is good terroir for this variety. Rob plans a tight focus at Nagging Doubt, limiting his ambition to growing to perhaps 2,000 cases. “I just want to perfect four wines,” he says. Those are Chardonnay, Pinot Noir and the red blend, The Pull. The fourth wine will be a white, perhaps an aromatic Germanic white like Ehrenfelser. The final choice will depend on what vineyard site he ends up buying. The Nagging Doubt wines are available in a number of private wine stores in Vancouver and on Vancouver Island. The winery’s website also is helpful in tracking down Rob and his wines. 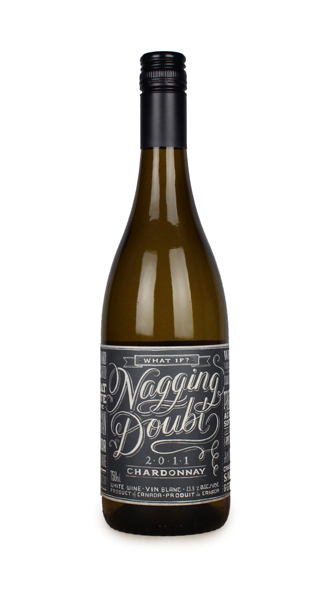 Nagging Doubt Chardonnay 2011 ($22.90 for 150 cases). This wine begins with aromas of citrus and brioche. On the palate, there are flavours of green apple, pear and lime. The finish is crisp and tangy. This is a Chardonnay that pairs easily with food. 89. 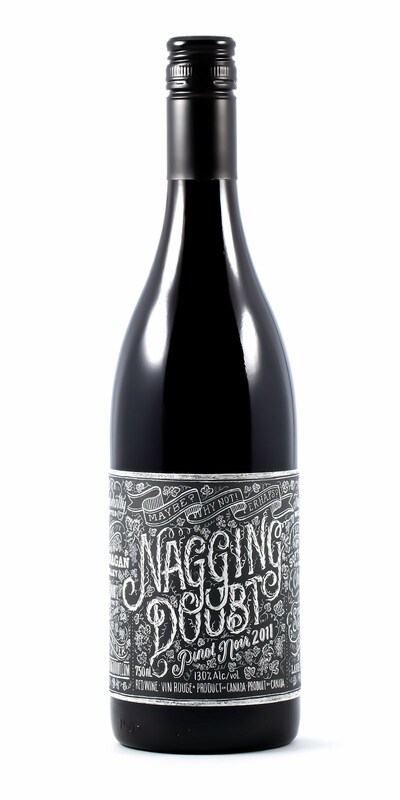 Nagging Doubt Pinot Noir 2011 ($23). The wine’s impressive deep hue gives it instant eye appeal in the glass. It has ripe aromas of cherry and strawberry with a hint of cinnamon. On the palate, the cinnamon becomes savoury sage, adding complexity to the cherry flavours. The texture has begun to develop that classic velvet of this variety. 90.